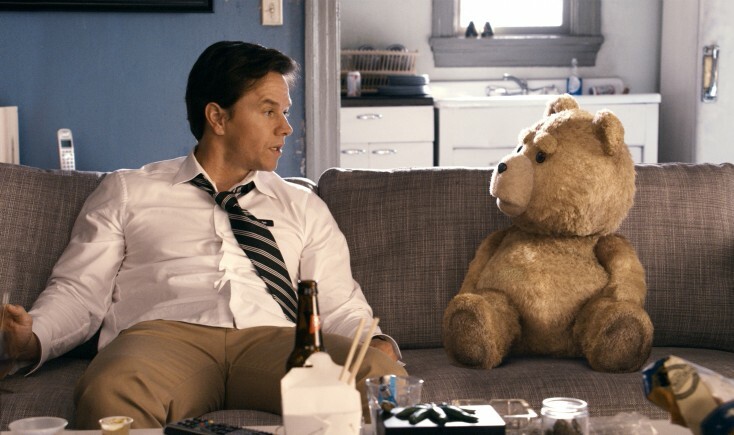 John (MARK WAHLBERG) hangs out with his best friend, Ted (voiced by SETH MACFARLANE), in the live action/CG-animated comedy “Ted.” ©Universal Studios/Tippett Studio. John (MARK WAHLBERG) and his best friend, Ted (voiced by SETH MACFARLANE), do rum shots with the real Flash Gordon (SAM JONES) in the live action/CG-animated comedy “Ted”. 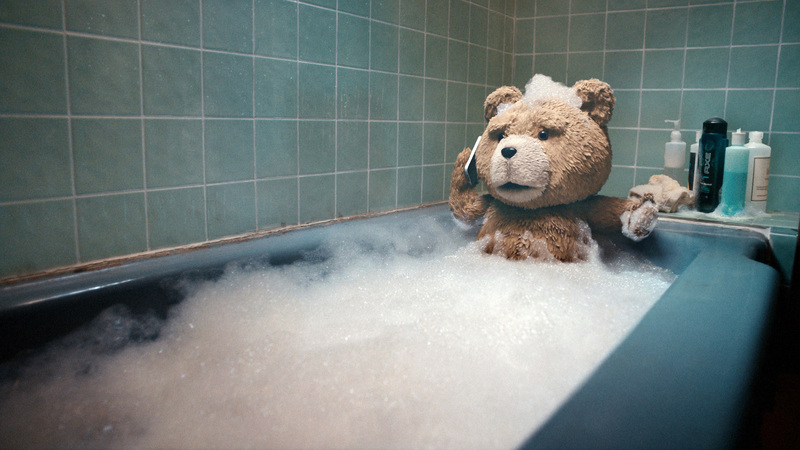 ©Universal Studios/Tippett Studio. 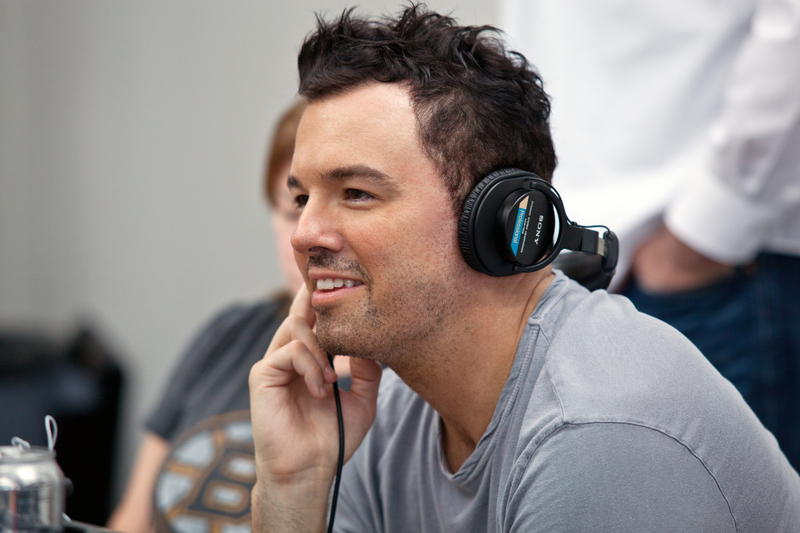 Family Guy creator SETH MACFARLANE brings his boundary-pushing brand of humor to the big screen for the first time as writer, director and voice star of “Ted.” ©Universal Studios/Tippett Studio. Ted (voiced by SETH MACFARLANE) relaxes with some hookers in the live action/CG-animated comedy “Ted.” ©Universal Studios/Tippet Studio. Family Guy creator SETH MACFARLANE brings his boundary-pushing brand of humor to the big screen for the first time as writer, director and voice star of “Ted.” ©Universal Studios.